Additional surcharge of $30 applies for deliveries to Jurong Island, Sentosa and Tuas. 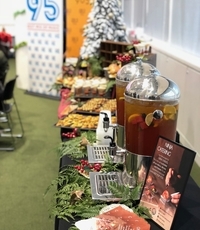 "the set up and food was on point! Everyone love..."
Ninja Cut is a restaurant in Singapore that serves Wholesome Japanese-Inspired Bowls with a fusion of international cuisine food that is much loved by their customers. Their mission is to set itself apart on the Seah Street belt with a varied menu featuring succulent meats, fresh seafood, and all-day brunch items and have been doing so since they opened in 2016. Today they are serving fusion international cuisine. 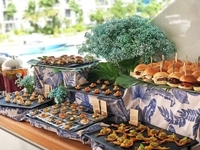 Ninja Cut uses high quality and fresh ingredients for their dishes and is also one of the caterers in Singapore that offers healthy and vegeterian friendly food choices. Ninja Cut offers excellent service and stylish meal presentation and they aim to build a good relationship with their customers. Ninja Cut believed that tasty food should be the highlight for any occasion. 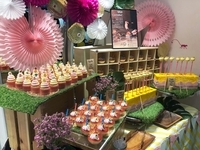 They also placed a strong emphasis on food hygiene especially during food preparation. Ninja Cut's catering is popular for business meetings, casual dining, kid-friendly, private functions and romantic dates. Ninja Cut's catering menu features all-day brunch items and a lot of popular dishes. 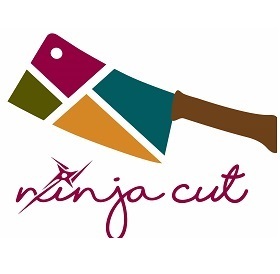 They're sure to be a favorite at your next event or party, so make sure to treat your guests to Ninja Cut catering. Ninja Cut also offers various meal options for their customers based on their volume and delivery time. Some popular dishes on Ninja Cut's catering menu include their Moana Love Bowl, Taco Platter B, and Waikiki Platter A. Moana Love Bowl menu includes a choice of either Salmon or Tuna Poke with Truffle Yuzu or Spicy Lime Cilantro Sauce, served with Green Coral Lettuce, Cherry Tomatoes, Mashed Avocado, Onsen Egg, Mango Bits and Mixed Nuts, while their Taco Platter B includes meat and seafood of your choice and all the ingredients required for a delicious Mexican meal! Waikiki Platter A includes meat and seafood of your choice and all the ingredients required for a delicious Hawaiian meal! With their experienced chefs and passionate team, you will definitely be satisfied with their menu and services. Looking to get Ninja Cut delivered to you? Ninja Cut delivery is available for breakfast, lunch, and dinner in Singapore. Make sure to check their schedule for delivery times, which is usually 7 days a week and do note that their menu requires 1 day notice for placing orders, so don't be disappointed! Thanks to Caterspot, you can have Ninja Cut to cater to your needs and preference. You can simply place your order via our website. Alternatively, you can also call our hotline. Our friendly staff will be pleased to assist you with your booking or any enquiry. In Caterspot, we provide a seamless experience and convenience to our customers: once you have placed your order, you can count on us to deliver tasty and fresh Ninja Cut catering menus to your location.